Maxwell Tools Company has maintained the reputation of designing and manufacturing high quality products based on customer demands. This is achieved through the use of the latest technology and engagement of highly skilled technicians. Their experience and professional exposure guarantees precision and adherence to details. These professionals test the products at every stage of manufacture. Concave milling cutters are a product of extensive research and experiment aimed at developing a tool that can produce a true convex radius. It comes in such sizes or models as HSS M2, M35 and ASP 2030. The cutters are coated with your preferred material if you make a request. The cutters are customized to reflect customer demands. The order form allows you to specify the dimension and other features including the size. 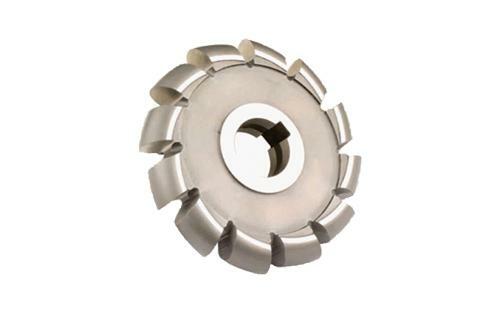 The cutters come in bore type that facilitates the manufacture of convex forms on different components. These cutters are excellent in the manufacture of half circles. Maxwell concave cutters are easy to sharpen and still maintain the original form. This is done by grinding on the surface. The design allows the machine form to be relieved without altering the profile throughout the life of the cutter. They are available in 2mm, 3mm, 4mm, 6mm and 7mm, among other sizes. Another category is the 1/8” to 1 ½”. Advanced technology and expertise allow the cutters to be developed according to DIN856 and BS122 standards. These standards allow milling of convex forms on different components. They come in such forms as HSS solid and HSS bore cutters. The standards help to increase precision when producing intricate shapes. The design is highly researched and tested to support the production process by making it easier and more efficient. The support provided helps to maintain the correct cutting angle as well as ensuring that the pressure applied is constant. This is necessary in the production of uniform results. There are form relieved options that can handle diverse concave circles on all materials. Maxwell has been in existence for decades and produces incredible tools for different industries. The company is driven by a desire to offer customized solutions for every industry in order to lower production cost and increase output. Thorough research on design and extensive testing helps us to meet the stringent quality demands in each industry. The process of development is computerized to achieve the highest level of precision. The process is also certified by industry regulators that guarantee quality. The operators and technicians involved in the production process are accredited to ensure that high quality is maintained. Maxwell tools offer numerous advantages on the short and long term. The process of production, design and manufacture is highly controlled to adhere to the highest standards in the market. All customers enjoy professional services with the company targeting to develop a strong business relationship with each client. Every customer is guaranteed satisfaction beyond expectations. The prices are reasonable and based on the specifications of your order. You will enjoy the convenience of a user-friendly online ordering portal. Payments are made through such platforms as credit cards, online payments and wire transfers from any part of the world.